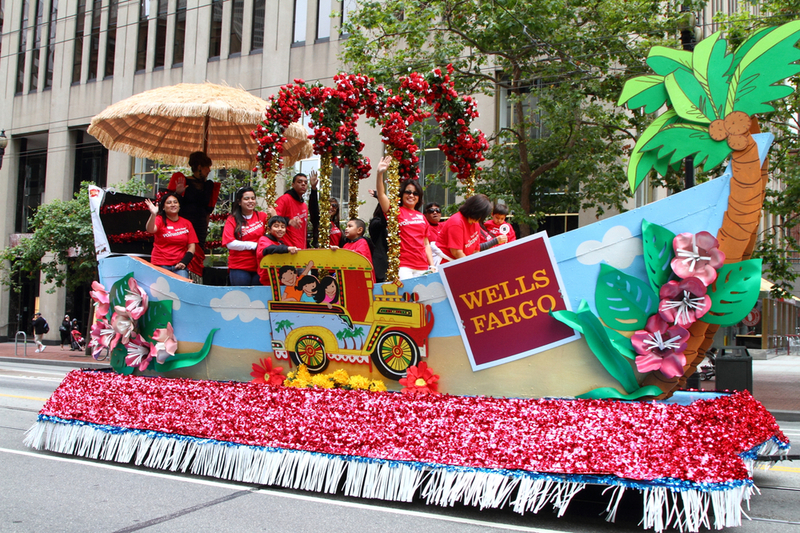 Experience the best of Filipino art, dance, music and food at the 21st Annual Pistahan Parade and Festival. Billed as the largest celebration of Filipino Americans in the U.S., the the two-day event organized by the Filipino American Arts Exposition is expected to draw over 60,000 people each day. Admission is free and fun for the entire family! This year we celebrate the unique Visayan culture—its music, dance, cuisine, language and traditions. We also honor the resilience of the Visayan people and hope to be a catalyst in the rebirth, renewal and rebuilding of the Visayas region. Viva Visayas! 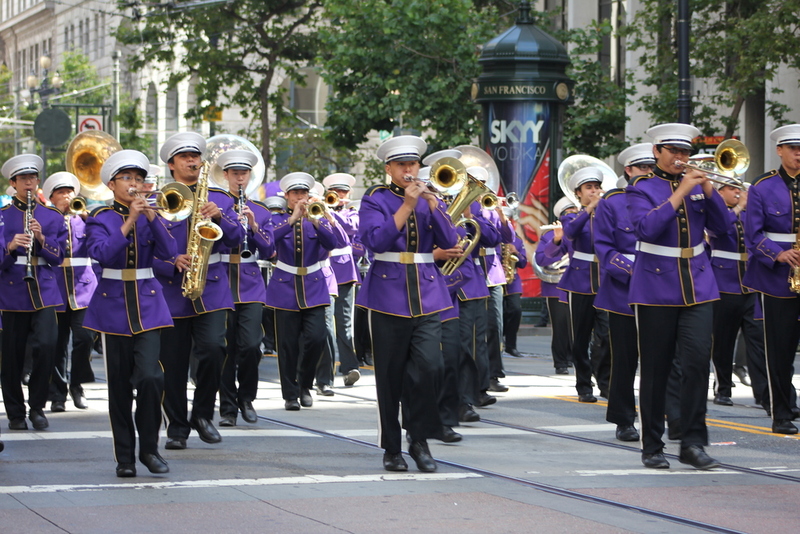 The Pistahan Parade on Saturday, August 9th is the traditional kickoff for the Pistahan weekend. Witness a dazzling display of Filipino culture and traditions. Prizes will be awarded to the best contingent, best costume, best choreography and more. PLUS: join the Manny Pacquiao Look-a-like Contest! 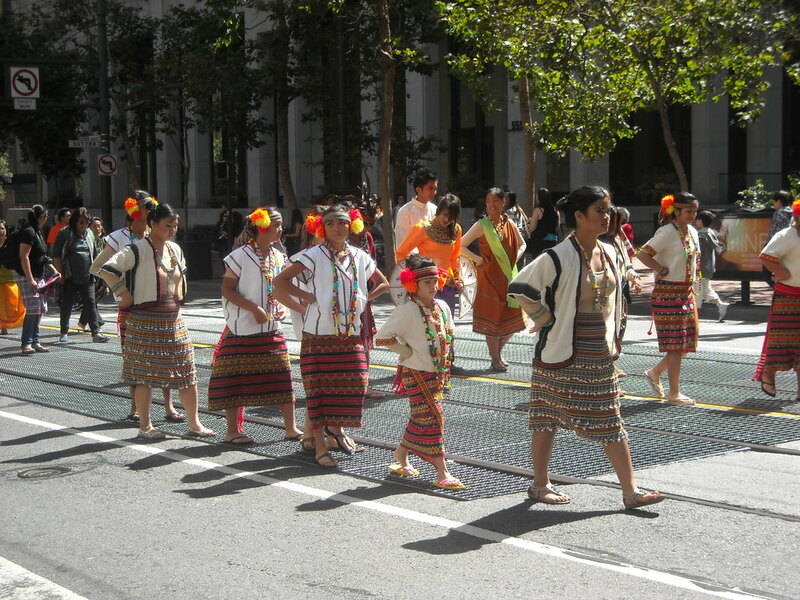 11:00 am–The Pistahan Parade begins at the San Francisco Civic Center at Grove Street and Larkin Street, marches down Market Street, makes a right on 4th street and ends at Yerba Buena Gardens on Howard Street. 2014 Pistahan Parade Route, San Francisco Click map to embiggen. 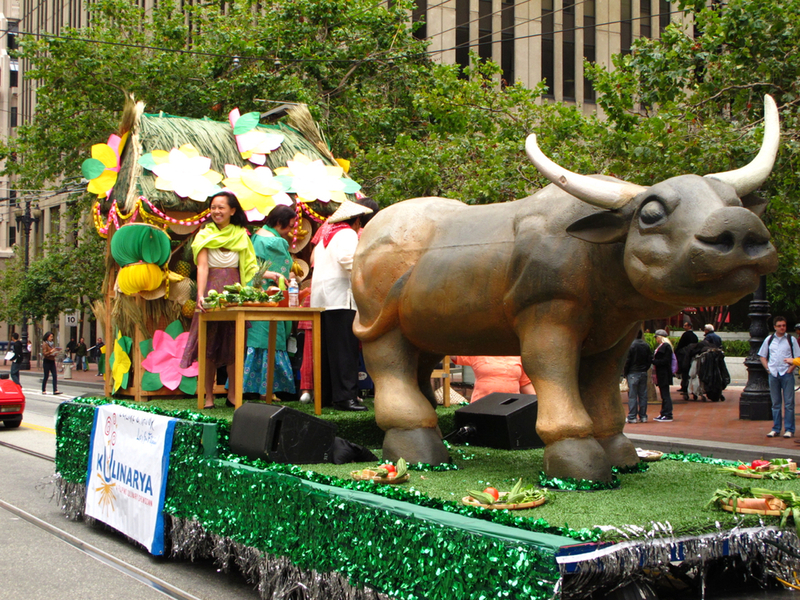 Colorful floats, historical themes and lively community contingents have helped build Pistahan Parade, as THE Filipino counterpart of San Francisco’s great cultural institutions like Chinese New Year Parade, Carnaval, St. Patrick’s Parade, among others.